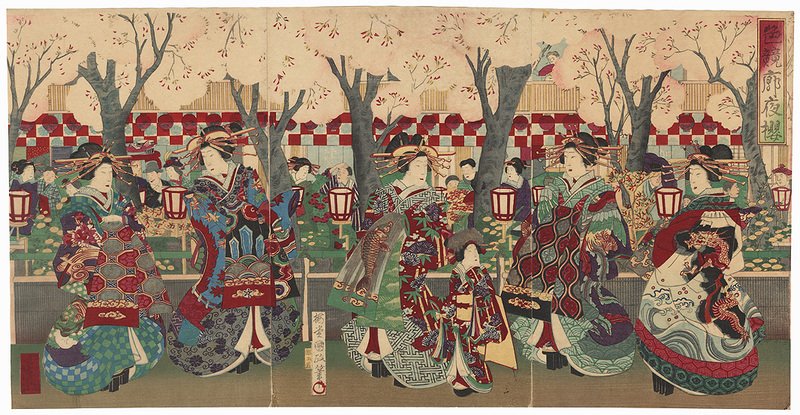 Comments - Terrific scene of courtesans strolling through the Yoshiwara in the spring. They wear beautiful kimono with fantastic designs, including a dragon floating in a black cloud with Mt. Fuji in the distance. 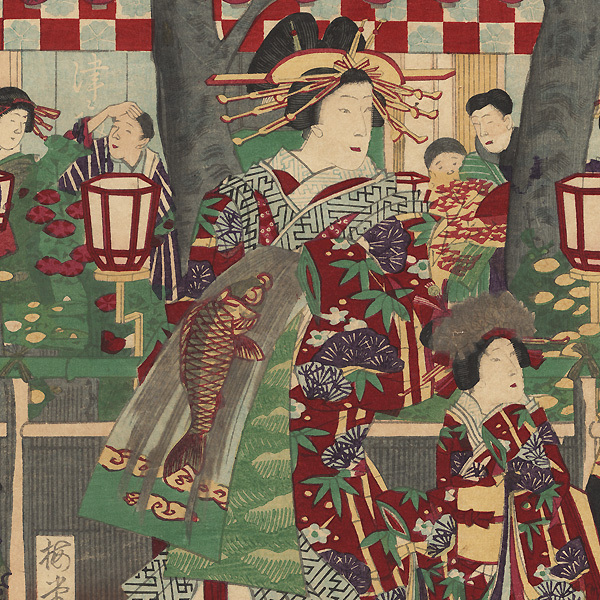 One beauty's obi features a carp leaping up a waterfall. Blossoming cherry trees and flowering shrubs fill the fenced garden behind the group. 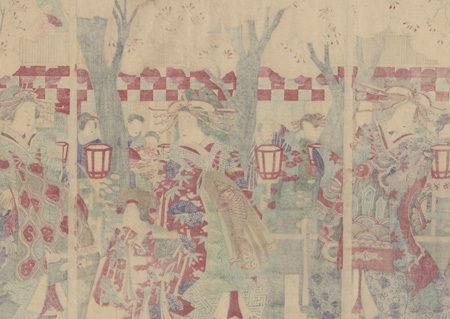 Wonderful detail in the lovely kimono fabrics. A charming design. Condition - This print with excellent detail as shown. Three attached panels. Small tear, a few small holes, repaired. Slight toning and soiling, a few creases and marks. Please note: due to the size, this print may be shipped rolled. Please see photos for details. Good overall.